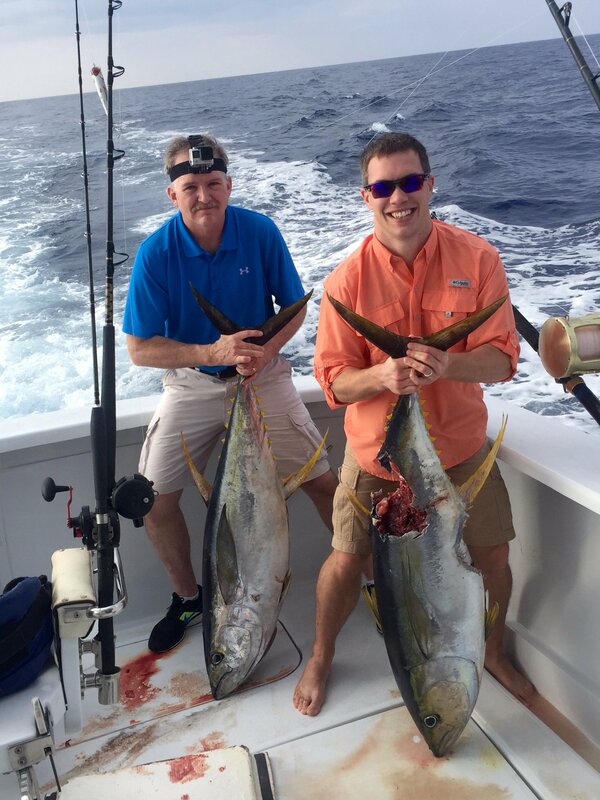 Jim and Rocky caught Beau Lanchard and Randy Messer two Ahi’s (yellow fin tuna) on a 3/4 day charter. The one with out the bite weighed 80 pounds. A shark got a a hold of one of them as it was being reeled up to the boat. I saw another boats report and they had the same problem on the only tuna they caught later on at the same spot.